Alexander Rose Portofino Lite Stone Table 0.8m: The Alexander Stone Table is part of the Portofino Lite Range and features this modern and simplistic style that will allow you to enjoy al fresco dining in those summer months. The Portofino Lite square table is made with a fine powder coated, tubular aluminium frame in a metallic iron grey colour for an attractive and sturdy design. The Alexander Rose 0.8m Table will seat four people and can be combined with chairs from the Portofino Lite range for a low maintenance set. 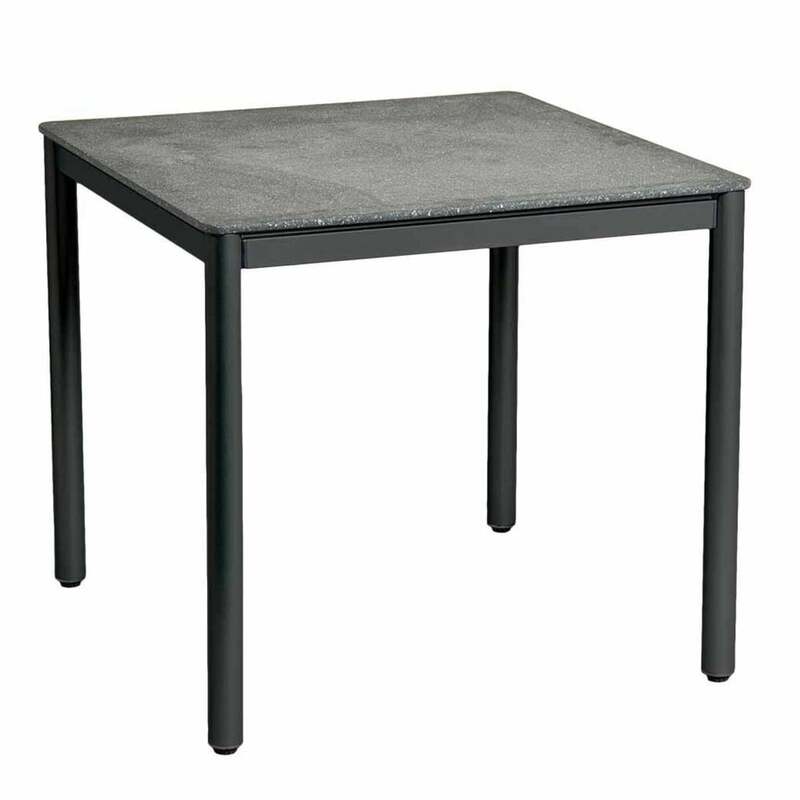 The Portofino Lite Table has a compacted fibreglass cement top which has been finished with a highly resilient granite effect coating which is weather and UV resistance.